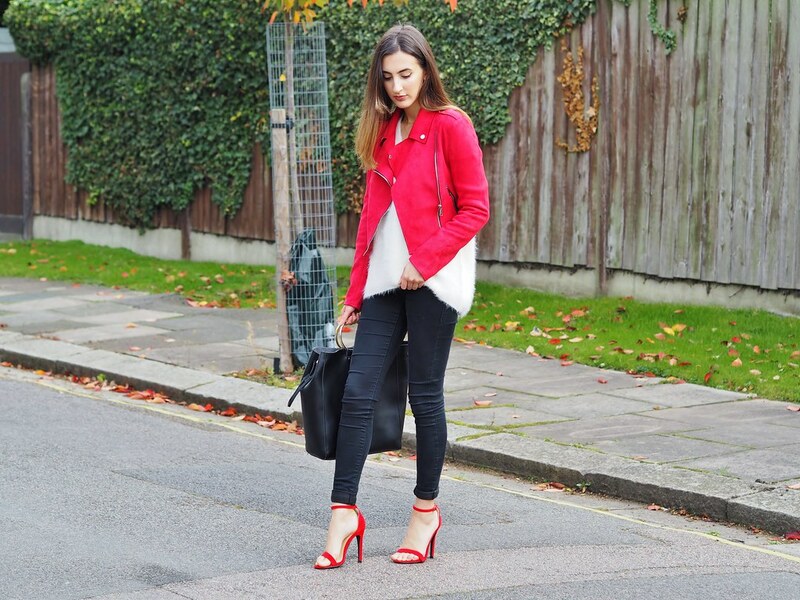 So Red is definitely the colour of the season as we go straight into Autumn! It's suddenly become super crisp and cold in London and now I'm reaching for knitwear, jackets and cosy coats to keep warm. I love a statement jacket when I'm too lazy to make the extra effort with my outfits and this Miss G Couture Faux Suede Jacket* is perfect for that. I've had so many compliments when I wear this as the colour is amazing and just sets an outfit off perfectly. Not only that, it's also super affordable and looks more expensive than it is (win-win!). I finished the look with another pop of Red - this time with the shoes. Again from Miss G Couture, these simple barely-there heels* just make the outfit look more put together and classy. These heels would also look amazing with a little Black dress to add a little touch of colour to minimal outfit combinations. Gingham was everywhere during the Summer, and it seems as though Gingham is definitely here to stay for A/W. Wrap dresses were also just as popular but I didn't manage to pick up any during the warmer months however, this Boohoo Gingham Wrap Dress* ticks all the boxes for my updated Autumn wardrobe! I love Gingham as it goes with all my wardrobe yet it isn't as minimal as a simple LBD. I styled this dress with my new fave Patent Leather boots from Topshop which are super comfy and have a little heel for some height and finished the look by accessorising with my trusty Gucci cross-body monogram bag. I kept my look quite smart-casual as I wore this during the day and wanted to look like I'd put some effort in, but still be comfortable. I love that this dress is super versatile meaning I'd also wear this out for dinner or during the evening for a smarter occasion with some heels to add some glam. It's also only £22, so you can't go wrong! Is it me or has Summer just been and gone just like that? I feel like it was yesterday that we were getting ready to head into the warmer months. Even though in London it means we had Summer for a week and then it disappeared for another 11 months again. Now it's just like Summer sprinted past and Autumn is well and truly on it's way towards us. Well, I've been trying to hang on to Summer as much as possible (I am not ready to bring out my winter wardrobe just yet!) and sipping cocktails just screams Summer and sunny vibes to me. 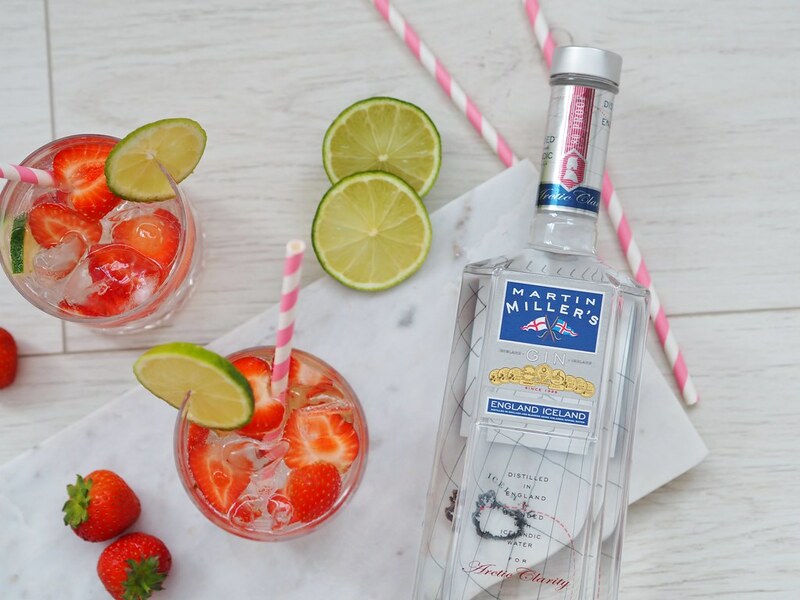 Even though it may not be sunny at the moment, these Martin Miller's Gin* Cocktails are no exception to making me feel all summery and they are so easy to make. I just simply cut up some Strawberries, added a squeeze of Lime and lots of ice. Then I poured some of the Martin Miller's Gin over the top and finished with some Apple and Raspberry Soda. I don't like my cocktails to taste too strong and this Gin mixes in perfectly with this combination. 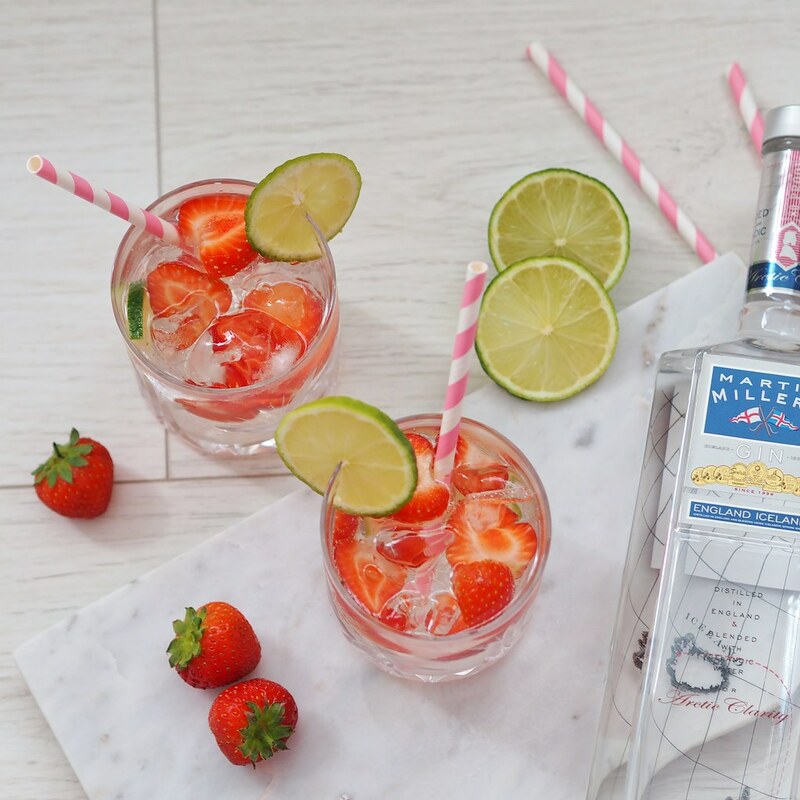 You could even just go with the simple Gin and Tonic mix, but I thought the Strawberries and Lime added a nice fruity touch to the drink. What's your favourite Gin combination? 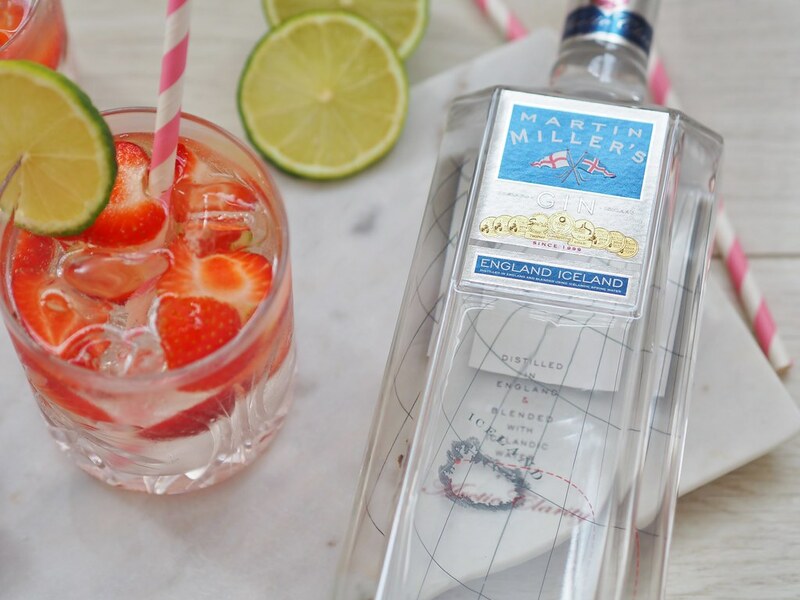 *Sponsored post with Martin Miller's Gin. Wow, so it has been a while since I got round to writing up a blog post! It has been a busy few months, but here I am with an outfit I wore around a month ago (I really need to catch up on outfits!). I love little crop tops for Summer because I feel that I get so much wear out of them with different shorts, skirts and trousers and they are so great for holidays. This Missy Empire one is no exception! I was drawn to this cute little bardot number because of the colour and the elasticated ruching which looks so nice on. I paired this with my trusty denim Levi shorts as you really cannot go wrong and my new ASOS western inspired sliders. I love the detailing on these sandals and they are probably one of my most comfortable pair of sandals this season. At the moment, the weather is so rubbish in the UK so I'm dreaming of weather when I can get to wear this outfit again (please come back Sun!). 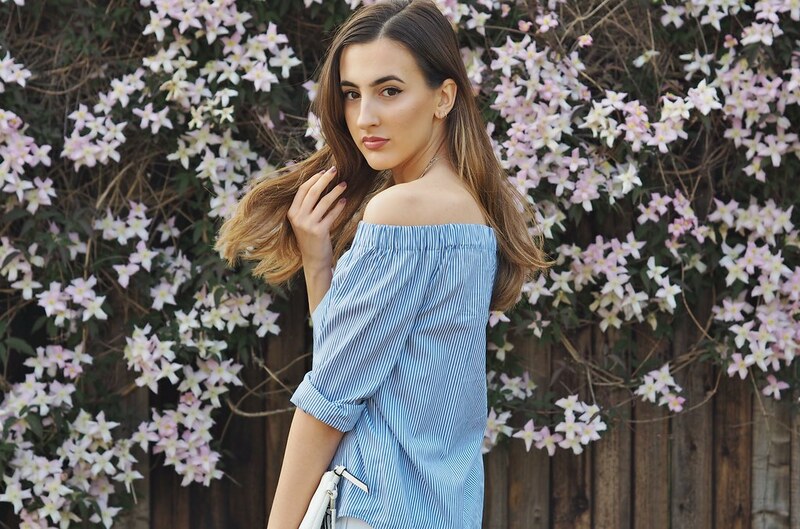 If you want to keep up with my outfits more regularly, I upload a few times a week on Instagram, check me out here! Who doesn't love a pair of culottes for Summer? I love culottes for Spring and Summer because they look smart enough for work but are still airy and light enough for the warmer weather. These culottes from Debenhams are gorgeous! I love the print of these and because they are Black this means they are versatile for both night and day. 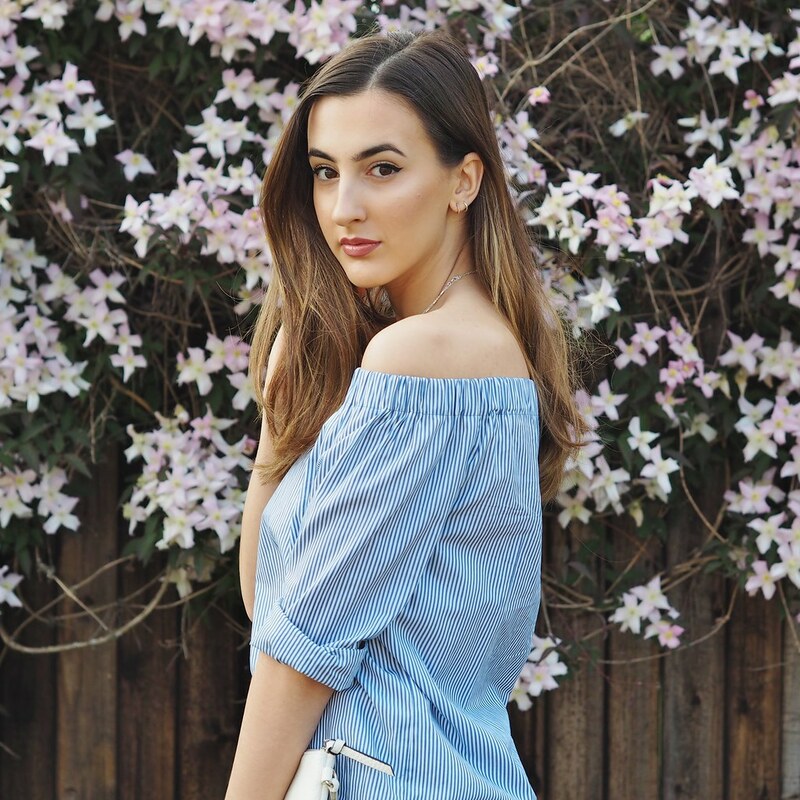 I paired this with a simple, off the shoulder, Black bardot top as the print talks for itself. 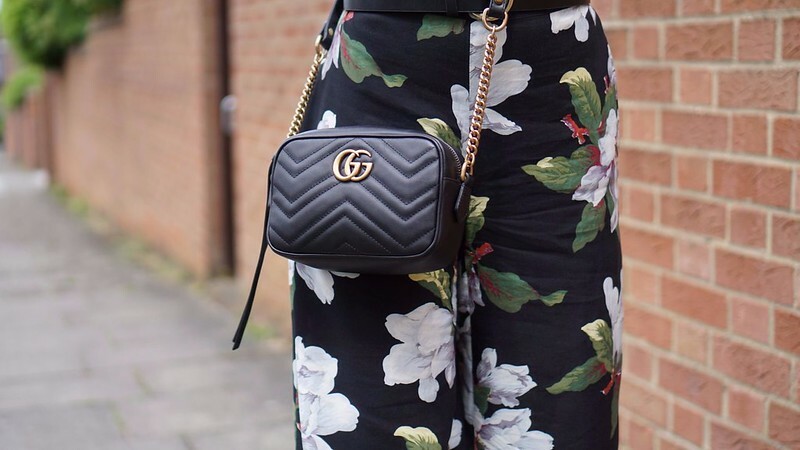 A new purchase is this Gucci Marmont Bag which I picked up on my recent trip to Milan and I love it! It's such a perfect size for everyday and holds just the right amount. Again, it's so versatile and I can see myself getting loads of wear out of it - which is key with more higher end, designer pieces. 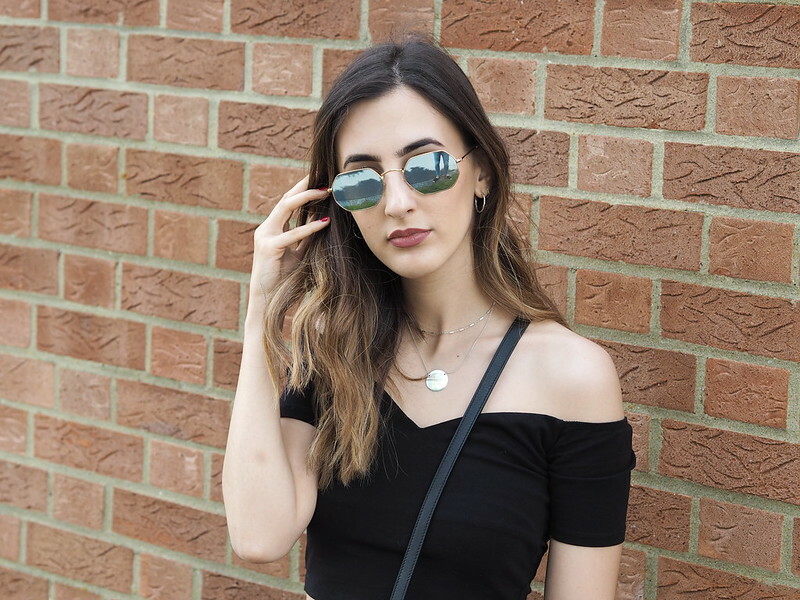 Finishing off the look, I wore these beautiful Ray-Bans from Debenhams*. I already have two pairs of Ray-Bans but I love the Octagonal shape of these. The reflective lenses just give this outfit the most summery feel. 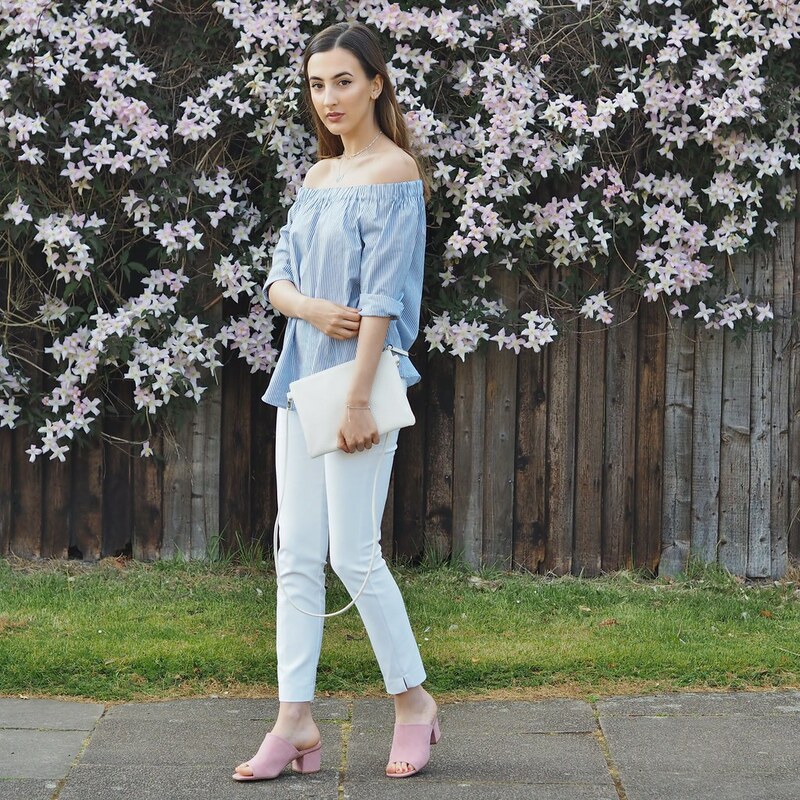 Unfortunately, the weather in the UK hasn't been great but I want to wear all my Spring pieces and open toe shoes! I bought these from Primark a few months ago and have tried to be patient to wear them and now seems like an acceptable time to get some wear out of them. I love these mules, they are a pastel Pink and are SUPER comfortable. I paired these with my favourite bardot top from Zara which I bought last year and a pair of White trousers. I feel like all these pieces will be such staples for me through Summer and also look just an amazing together. 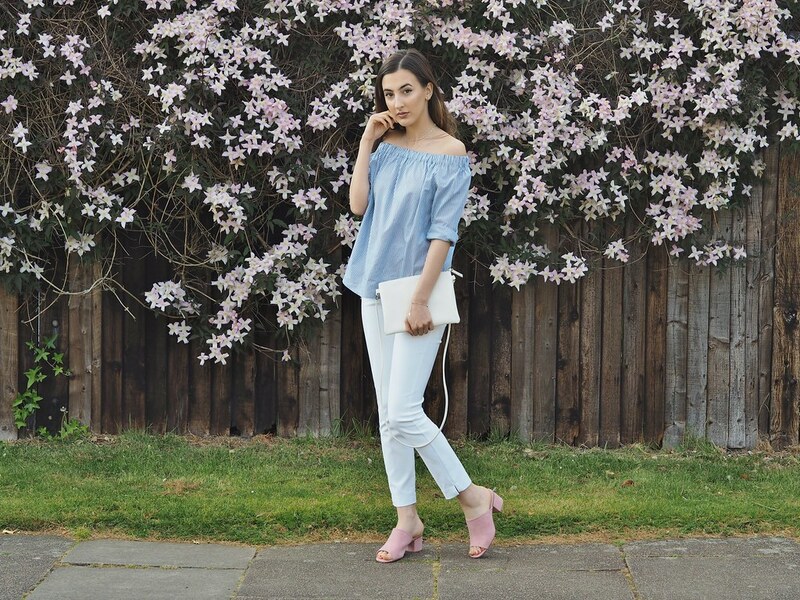 I love mixing pastel shades and when else can you embrace pastel hues apart from Spring?! Back again with more embroidered wardrobe pieces! 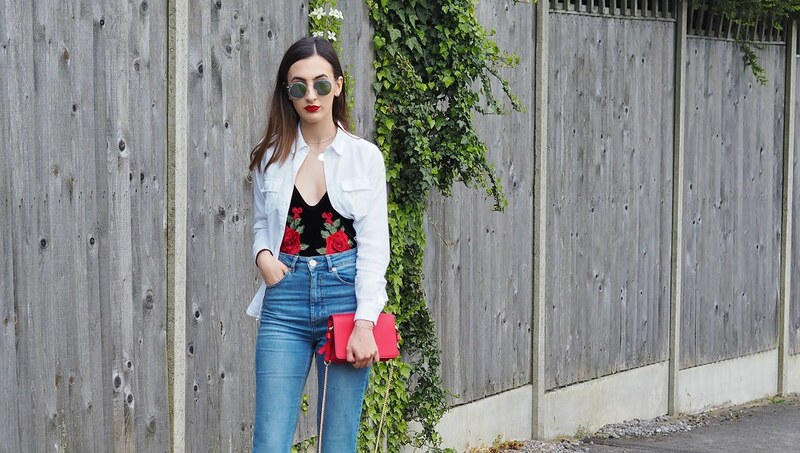 This time going for this Shein Velvet Embroidered Bodysuit* which really drew me in because of the way the Roses pop against the Black of the velvet and they almost look like they are rising up from being tucked into my jeans. 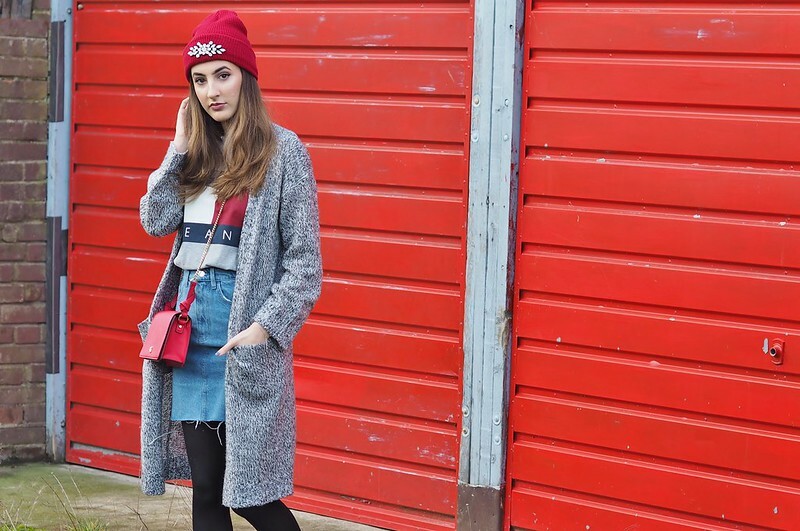 I know I've definitely mentioned on here that I love Red accessories at the moment and pretty minimal outfits with just a hint or pop of Red. 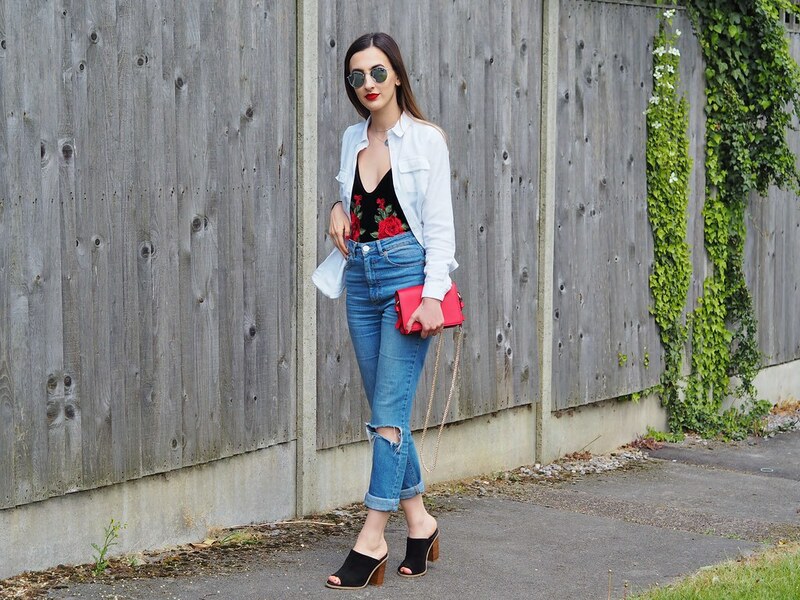 This outfit I kept with the same theme opting for a classic flannel White shirt and high-waisted jeans then complementing the pop of Red of the bodysuit with my favourite Zara bag. I love this look! 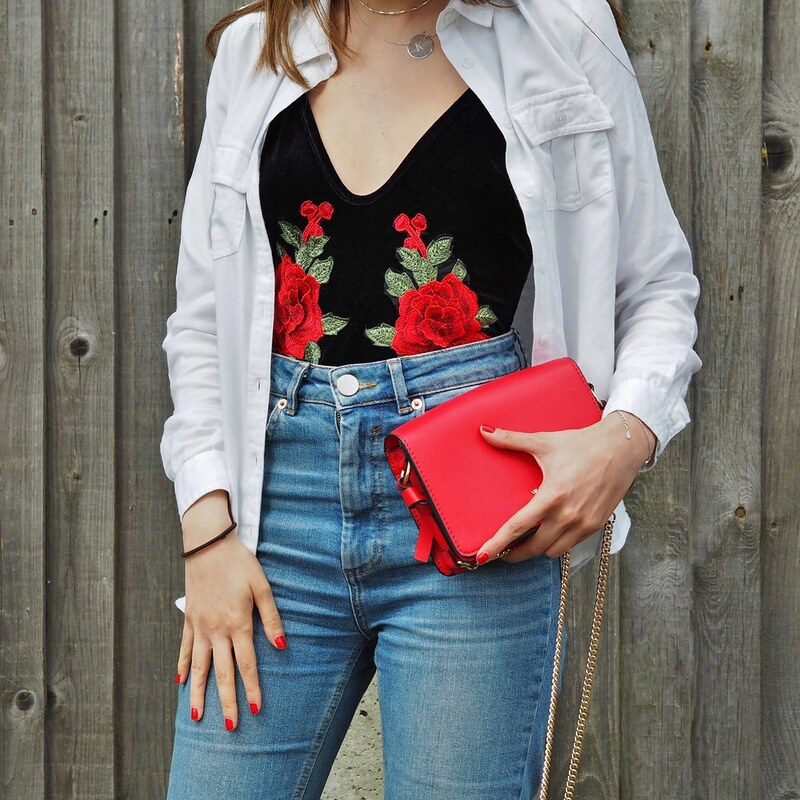 And this bodysuit can be casual like I've worn it but can also be dressed up for a night out as it's quite low cut and would look amazing with shorts in Summer. Back with a pretty casual outfit but one that I loved. It's getting to that 'in between' weather stage when you're unsure if it's going to be -19c outside or 9c outside (please hurry up Spring! ), so opting for light but warm layers is key right now. 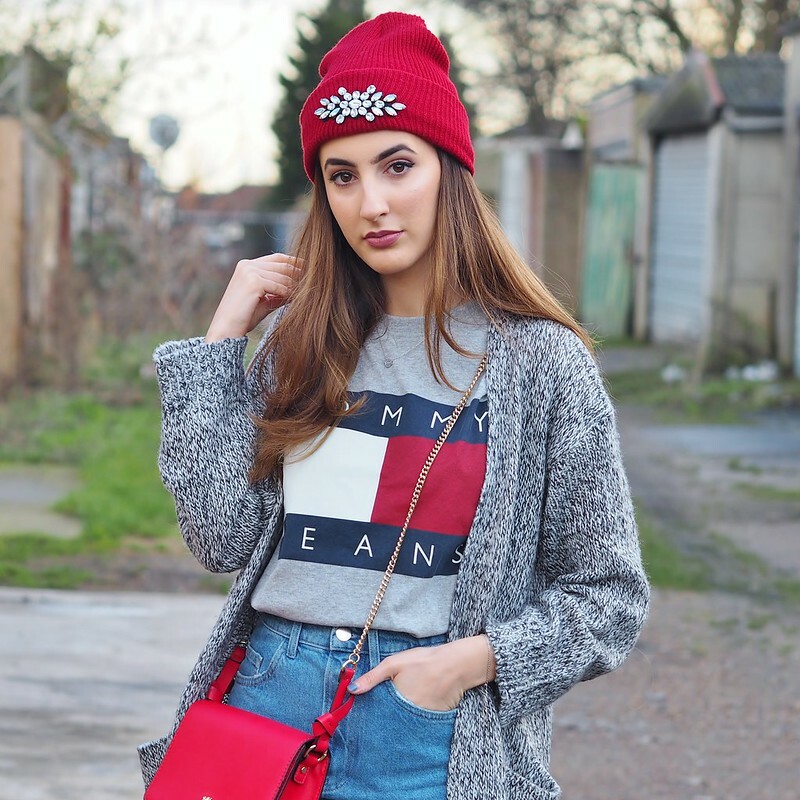 I love this Tommy Hilfiger top, even if literally everyone owns it now, I still really love the 90's vintage vibe this gives my outfits, especially with this frayed hem high-waisted denim skirt from Topshop. This skirt is so versatile, it can be perfect for a night out as well as an everyday casual look which I went for this time. Teamed with my new favourite Adidas Stan Smith trainers which are literally THE comfiest shoes I own and adding some red accessories to finish the whole outfit off. 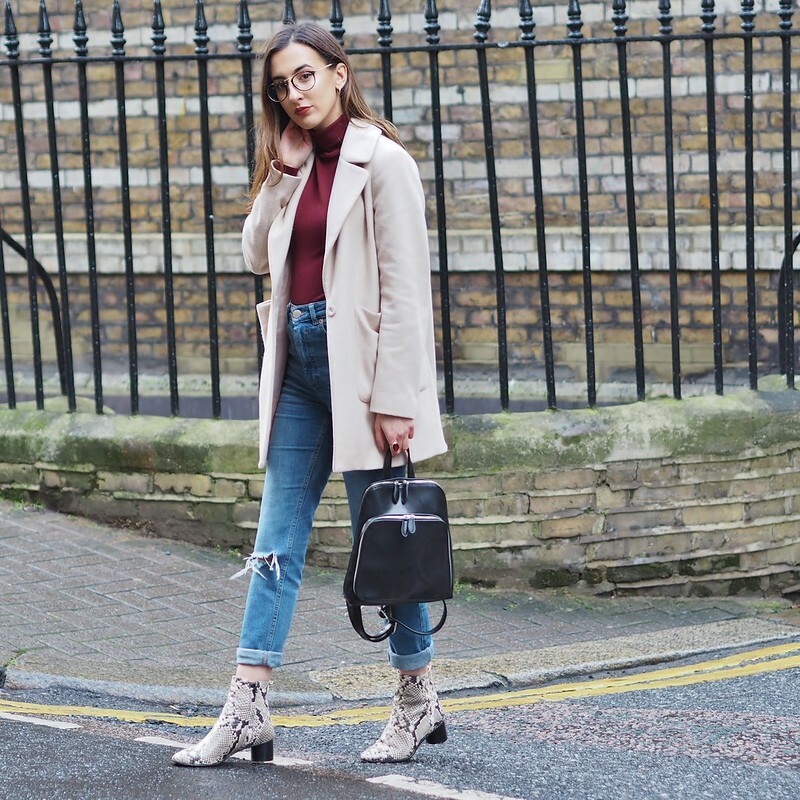 I love a good boot for Winter, they make a quite casual and effortless outfit look put together and like you spent more time thinking about what you're going to wear in the morning than you actually have. These 'Dare' Kurt Geiger Boots* are not an obvious choice for me. 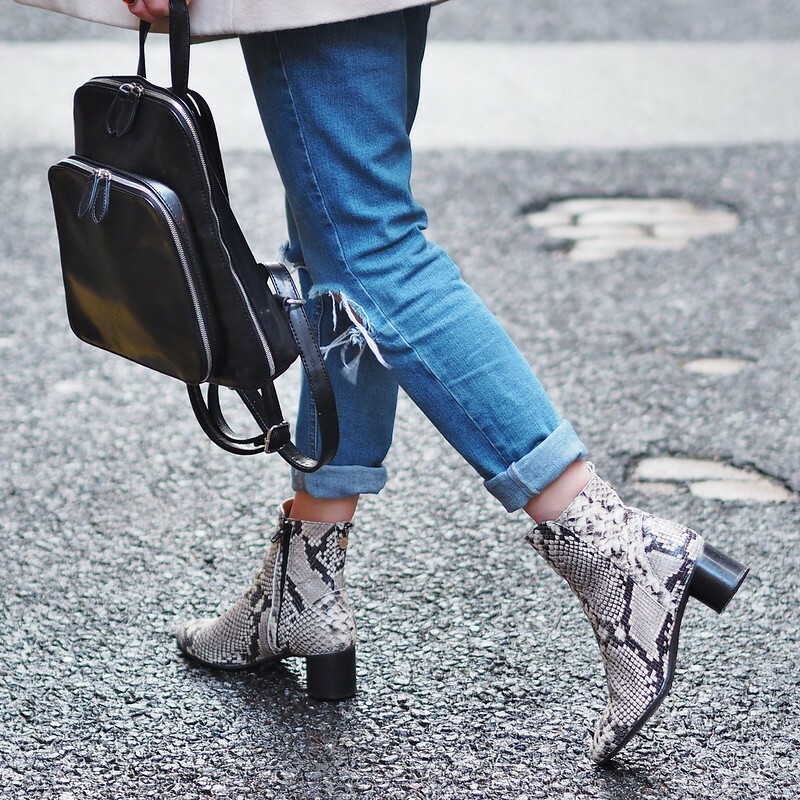 I would never usually pick these out online or whilst I'm out shopping but I thought I'd go for it and choose something different as a printed, statement boot is really in at the moment. I actually love how these look! 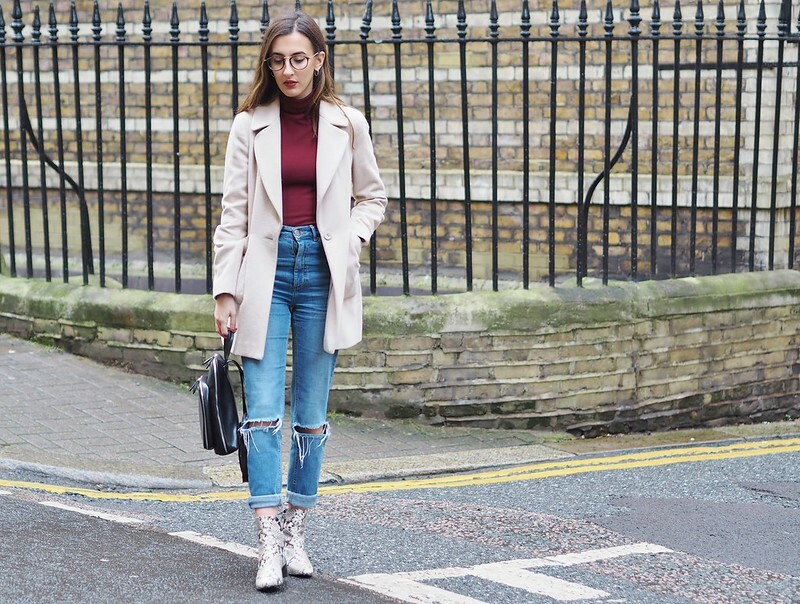 My outfit is a pretty standard everyday look for me consisting of a pair of ripped comfy jeans, roll neck top and cosy coat. 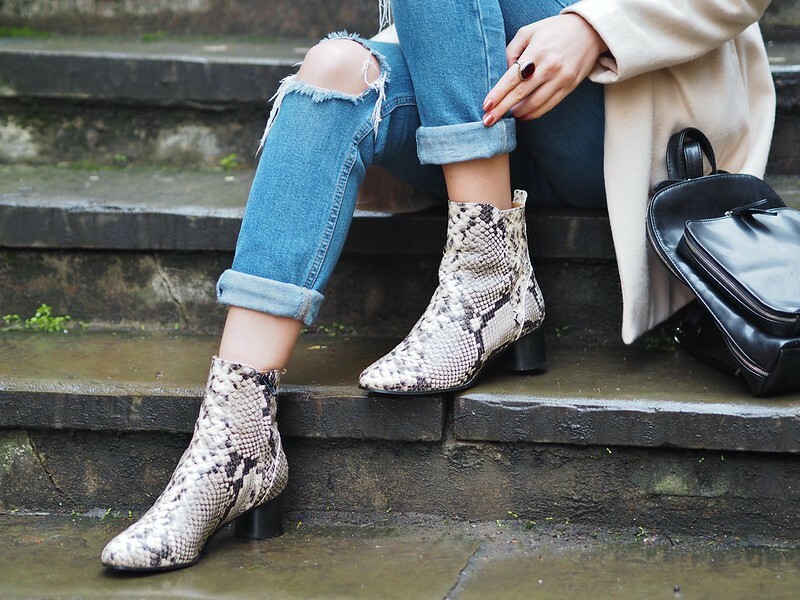 These boots just finish this whole look off perfectly, I am surprised at how I love the snake skin print and they are also so comfy (once you break them in!). 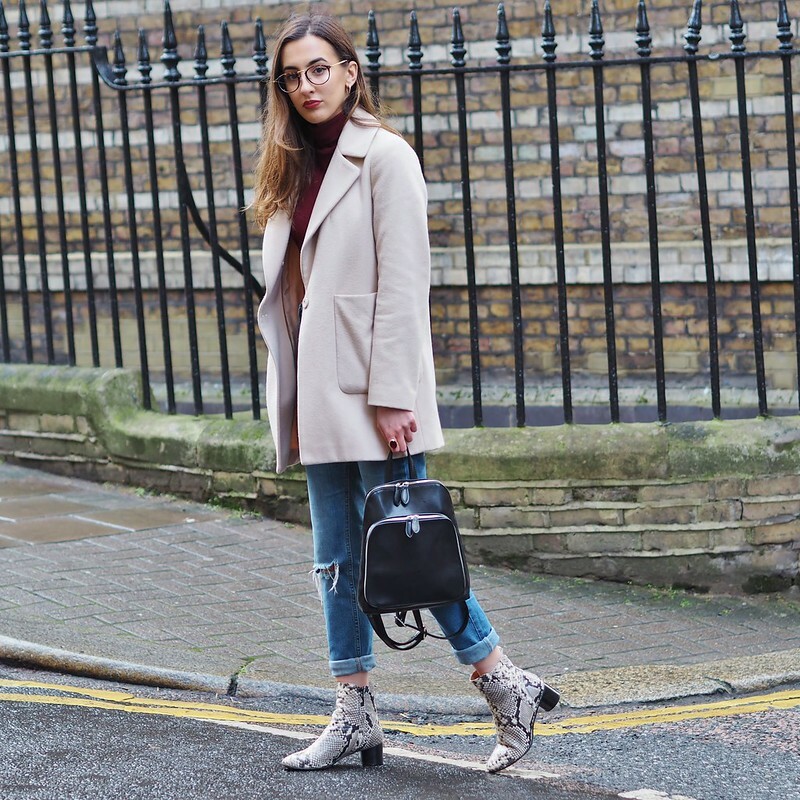 I feel like the statement boot is going to be my staple this winter, what's your statement piece this season? 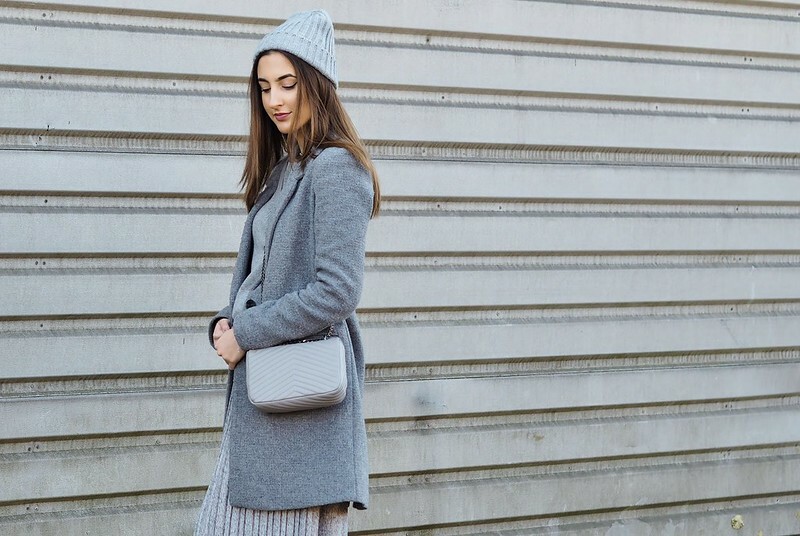 When 99.9% of your wardrobe is Grey and you're not even sorry about it. 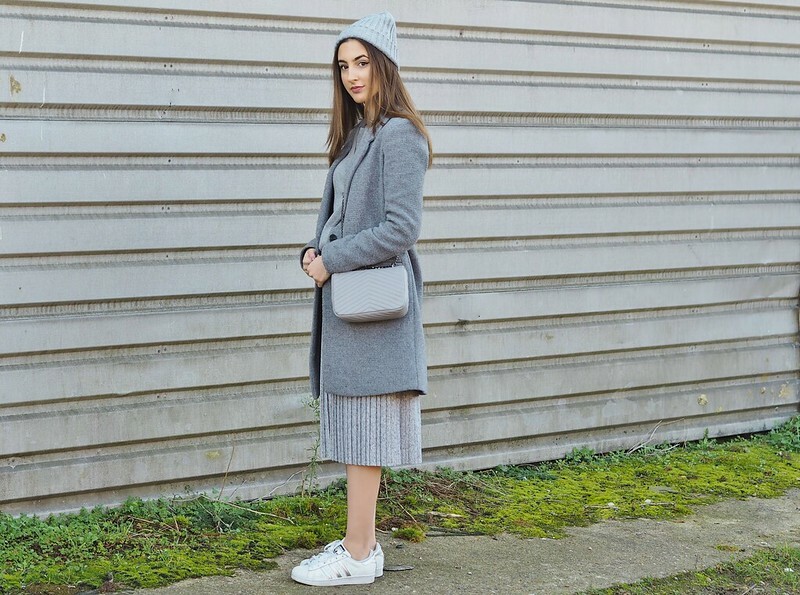 I just love this look and I definitely think Grey is my favourite colour to wear along with White - it just looks so chic most of the time and pretty much goes with everything. I really like this layered all Grey look as it's perfect for this absolutely freezing weather and it's also super comfortable. Comfort over anything for me is key. I wore this look out for casual shopping but I'd pretty much wear this anywhere; to work and also out to eat as I know I won't need to worry about being uncomfortable or cold. Thin layers is a necessity in London on a daily basis for me as it's January and the temperatures are hitting the minus' but being at work and getting the tube means it can get really stuffy and hot at the same time. 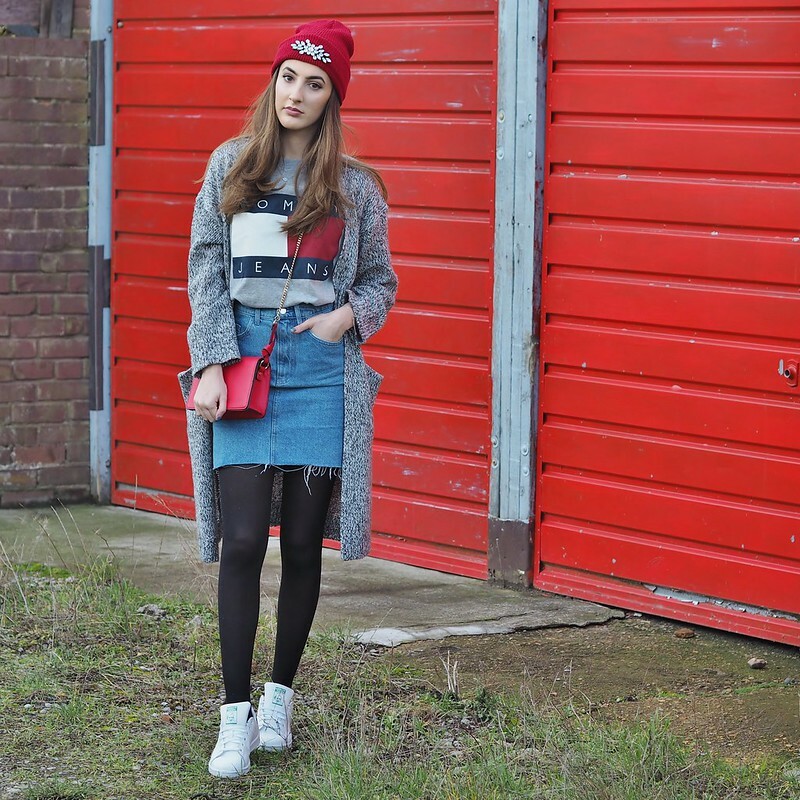 I love the pleated skirt as a feminine touch with the sporty look of the trainers. 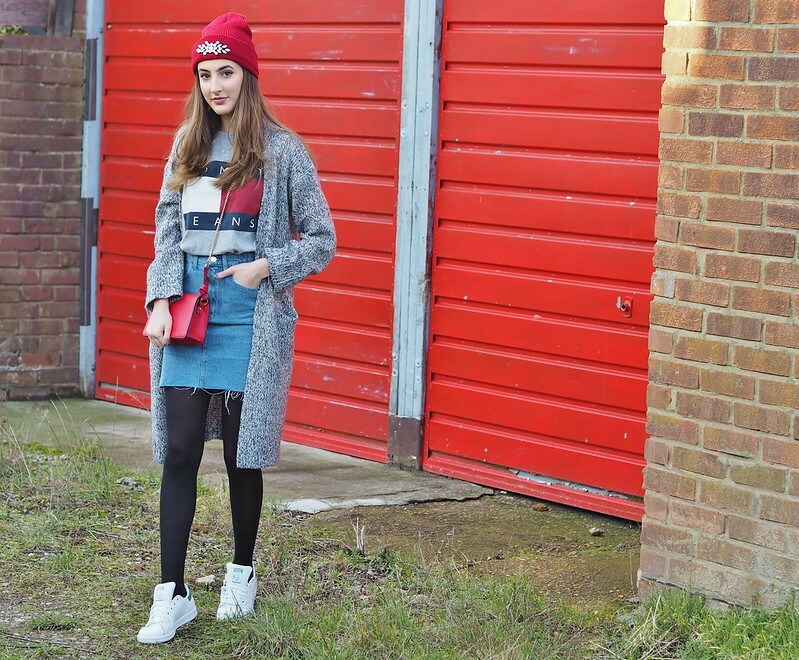 Pleated skirts are pretty much my fave at the moment and I love that I can now get as much wear out of them in the Winter as I can in the Summer with these layering techniques!